I’ve written extensively about HIIT over the years – in fact I’ve even written an eBook on it! Arguably the simplest and most readily available form of HIIT training is sprinting and this led me to the question… how many calories does sprinting burn? In the fitness community we regard HIIT highly for a lot of reasons, but one of them is how helpful it is from a fat loss perspective. 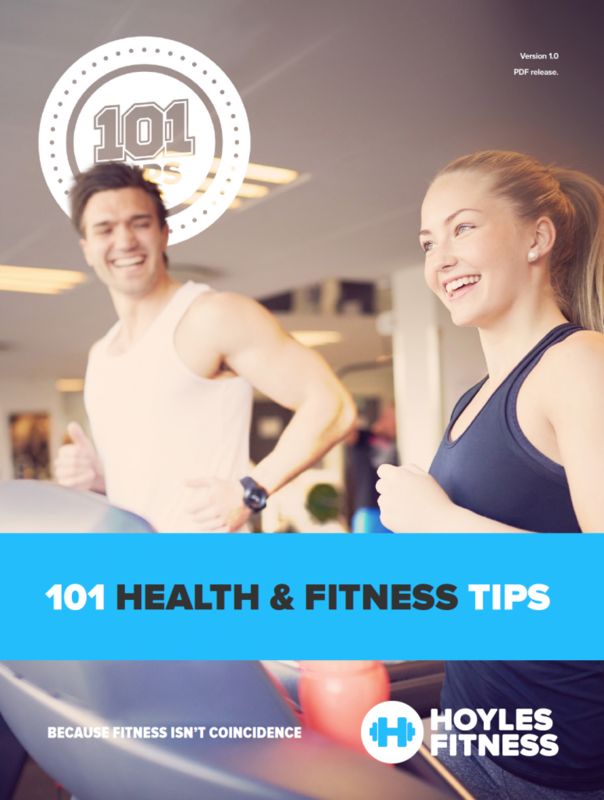 As a training approach it is a way of burning a lot of calories in a short period of time and thanks to the shorter, higher-intensity workouts it’s less damaging on the body than say, a long run. Before we start, we have to frame exactly what it is we are testing. To make the test fair and replicable, the data from these workouts are from indoor sprint workouts on a flat sports hall surface. The workouts last approximately one hour and the device used to measure the calorie burn is the same every time – my polar heart rate monitor. Why is it important to outline this information first? There are so many factors that can affect the intensity of a workout. In sprinting alone we have surface, gradient, temperature, outside conditions (is it wet, windy etc), so I wanted to give you an idea of exactly how the testing was done. Not all workouts are created equal and all that. It’s also important to point out that this isn’t definitive – of course most of the people reading this would know that to be the case, but in case you didn’t, this blog post isn’t me definitely saying ‘a sprint workout burns X amount of calories‘ – instead it’s me saying when I did a sprint workout in the conditions I explained, it burned this many calories. On the internet there are a lot of claims about fitness, many of which aren’t really backed up credibly, so I wanted to answer how many calories does sprinting burn with some actual data, even if it was basic. These are real world results from real world workouts, just like the readers of this post will be performing. This is a data set built up over a few weeks worth of workouts and I’ll share a few screenshots so you can see the data for yourselves. How Many Calories Does Sprinting Burn? In these workouts I’m going hard – I’m taking minimal rest and even the rest I am taking is usually mobile (meaning I’m walking around whilst resting), rather than just lying down. This is so I can continue to burn some calories, but also because I don’t want to lie down, stiffen up and potentially risk cramp which would affect the rest of the workout. I want to maintain a good blood flow and be ready for the next sprint. I’m also wearing a heart rate monitor whilst I’m doing my stretching at the end, which is why on the images I’m sharing it shows the workouts were over an hour. The data clearly shows that across an hour workout in the conditions I explained, I was burning over 1000 calories per hour. This is in a workout without equipment or any kind of complicated set up. I’ll explain the kind of workouts I am doing later in the post, but the initial take-home is this – intense sprinting burns over 1000 calories per hour. I was really chuffed at this, because it shows not just that sprinting is a great HIIT option, but it’s one of the very best. If I’m now asked for HIIT workout options, or how many calories does sprinting burn, I can answer with confidence that it’ll be over 1000 per hour in the right conditions and at a high intensity! I’ve shared the screenshots from my polar account below, so you can see for yourselves the calorie burn and the heart rate data for the sessions. In case you’re unsure as to what the graphs mean, the different zones indicate higher heart rates. The harder I’m working, the more time my heart rate is in the yellow and pink zones. The dips in the graph are where I’m resting in between sets of sprints. You’ll notice towards the end of every graph the intensity tails off – this is where I’m stretching at the end of a session. The calorie burn for the session is in the top bar – the lowest of the four I’ve shared is 952 calories – obviously this has the most rest periods included in the workout (I must have been tired! ), but even this is a high output for a workout. The top rate of calorie burn is 1252 and the average for the four workouts is 1090 calories per hour. So, in my case the answer to the question ‘how many calories does sprinting burn?’ is an average of 1090 per hour! I like to keep sprinting workouts simple – the value is in the intensity, not the complexity. Below is an example of the kind of drills I include in a sprint workout. These are the kinds of drills I used in the workouts where I wanted to answer how many calories does sprinting burn? They’re simple, but they’re effective. In this case, remember I’m not sprinting to become faster per se, I’m sprinting to burn a lot of calories and therefore drop some body fat. I don’t think I’ll be troubling the podium at the Olympics any time soon, that’s for sure. If you want to get faster, maybe read this article from Runners World. Unless you’re a really proficient sprinter, the chances of injury are dramatically increased when you add more and more complexity into a sprint workout and the increase in performance is minimal. With this in mind it’s a disproportionate risk. If by adding more and more complex drills into the session you saw a huge increase in performance, I’d do it, but what you’ll see below is a standard sprint workout example for me. Set three cones in a straight line – one 10 metres/yards away from a start line, a second 20 metres/yards away and the third 30 metres/yards away. Sprint to the first cone and back to the start line. Without rest, turn and sprint to the second cone and back to the start line, then finally sprint to the third cone and back to the start line. This is a safe way to add in some direction change work. There’s only two turns per sprint, so the drill is relatively safe but still allows you to incorporate movement into your workout. Set the cones out in a large, wide triangle. Sprint from the central one out to one of the sides, turn and head back to the centre. From there, turn and head to the other cone. This one is simple – you just sprint flat out from a starting point to an end point, walk back and repeat. You can do this as many times as you like, or as far as you like. Personally I do this for around 30 metres/yards when indoors, but if I’m outdoors I prefer the sprint to be 50-70 metres or yards because it allows for the extra intensity and calorie burn. Additionally, most people are still accelerating up until 40-60 metres so it allows the sprinter to reach full speed. If you break down what a sprint workout is, it’s effectively short bursts of high speed running of various lengths. Throw in a few direction changes too to make it more all-round training (too much straight line work doesn’t build real-world conditioning benefits). Arguably the most fun real-world way to replicate this is with sport. Any kind of sport where the tempo is high and there are a lot of short, sharp sprints are a perfect way to ensure your training has enough sprinting in it. Personally, I play 6 a side football (soccer for my American readers) twice per week and that does it for me. Sports such as tennis, rugby, basketball, netball, hockey etc would all do the same job. If you don’t play any sport, you can still include sprinting in your training, but I’d think carefully about where I’d put it. In an ideal world, sprint training would have its own day. This is because it’s neurally quite demanding, is very high intensity and in order to get the most out of it, you’d want to be as fresh as possible before doing it. If your training time is limited however, I’d put it after strength training where you haven’t done much (if any) leg work. This is because with a cardio workout you’d have used your legs extensively, so they’d be limited in what they could give you during a sprint workout. I’d try to keep the sprinting workouts to around 30 minutes long, as high as an intensity as you could safely get away with in the time frame and ensure you’re doing the simple work. You’d already be carrying a degree of fatigue from the strength training, so don’t try to be a hero – work hard, but work smart too! How Many Times Per Week Should I Be Doing Sprinting Workouts? I’m sprinting to burn fat and increase calorie expenditure, which is part of the interest in the how many calories does sprinting burn – I was testing to see whether or not it was a good fat burning option for me. If your goals are improving your conditioning and fat loss, I’d look to get 2-3 sprinting workouts in per week, with strength training making up the rest of your training time. My personal belief is that strength training is imperative regardless of your fitness goals, so should always feature in your training. Keep check of your energy levels and how your body feels – that’s the best indicator of how much more you can do. Oh, and make sure you stretch! 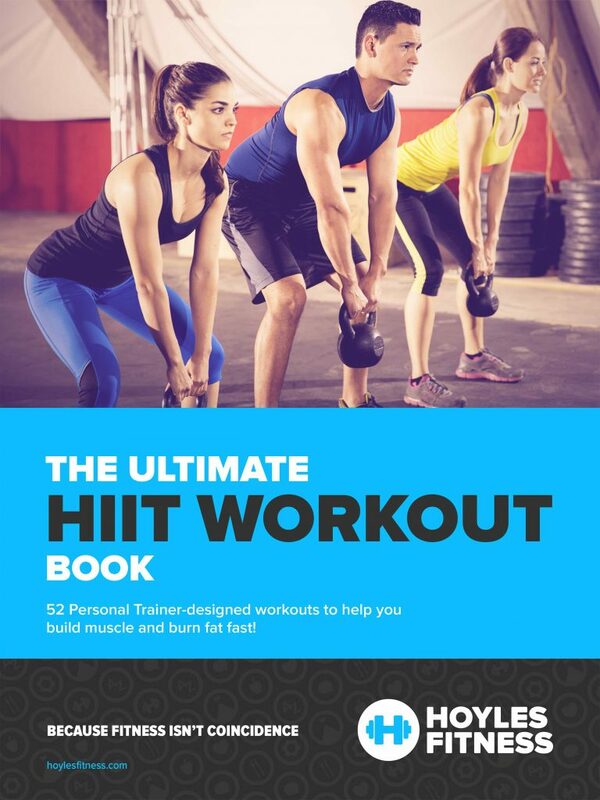 If you want a few other HIIT options, you can pick up my eBook – it contains 52 workouts with different equipment options – kettlebells, barbells, tyres, rowing machines and sprint-based sessions. You can pick it up here or if you have Apple products, pick it up for less money by clicking the image below! The opening question to the article was how many calories does sprinting burn? It was essentially asking is sprinting a good HIIT option for fat loss and improving your condoning? What we learned (through some basic testing) is that an intense sprinting workout burns over 1000 calories per hour, so yes – if sprinting is done regularly as part of your strength and conditioning routine, it’ll certainly help you lose some fat. Next Next post: Could Muay Thai Help You Get Fit? And a perfect set of training for netball which is stop start with sprints! (which also I tested for calorie burn and burnt 1,000 calories in an hour’s game). Will add this to the work out plan! It’s a perfect way to train for netball! Just add in some lateral work, some direction change stuff and plyometrics and you’re all set! By the way, 1000 calories is good going! Leaner than a whippet with that level of intensity! Great post with deliberate analysis and actionable tips, Steve! Loved the way you do the test under controlled conditions. I share it with some of my *rational* clients and friends who want to lose weight and burn fat, which persuades them to take *sprinting* seriously. By the way, I see that an overweight guy can’t reach as well as maintain the speed in the test and clearly, it will affect the outcome/the data. In this situation, I suggest he/she focuses on lifting weights which will create better results. Thanks for your sharing, Steve! I agree that in the case of an overweight person, lifting weights will be a better (and probably safer) training option. I’d suggest you really emphasise the point though that it’ll only help shift the weight if coupled with a calorie-restricted diet. He can make the weight training more effective with keeping the rest periods short and the intensity high too. Thanks, Steve! It’s the information that I am looking for. P.S: Hope that you post this kind of articles more, which show people how to do things properly and what to expect for so they have the right mindset to achieve success. I’ll certainly be posting more of this kind of work – I like to share good information. Quality over quantity and all that!